One of the bottling lines at Diageo's facility in Levenmouth. Pre-Christmas strike action at Diageo’s massive Fife bottling plant could be averted if a new deal is struck. Hundreds of workers at the company’s Banbeath site in Leven were among those who voted overwhelmingly for industrial action over “Scrooge” plans to slash their pensions while the firm rakes in massive profits. But unions have announced they will vote on an 11th hour proposal from Diageo following four days of talks at the conciliation service Acas. An agreement that members of the Unite and GMB unions would be balloted on the new plans was made late on Wednesday night. Unite regional officer Pat McIlvogue had previously branded Diageo’s actions “corporate avarice on a scale that even Charles Dickens couldn’t imagine”. He said on Thursday after the latest offer: “Our workplace representatives and officers agreed that this offer from Diageo was the best achievable outcome we could get through negotiation. “All our members at Diageo will now have a chance to have their say on the proposal in a consultative ballot. Mr McIlvogue said the union would be guided by the wishes of members but if they reject the new offer then strike action could still go ahead. The strike threat followed plans to change the company’s pension scheme to one which is worth far less to members. A separate scheme is being closed to workers and, together, the proposals would have saved the company £30m. The firm’s 2015 profits were £2.8bn. 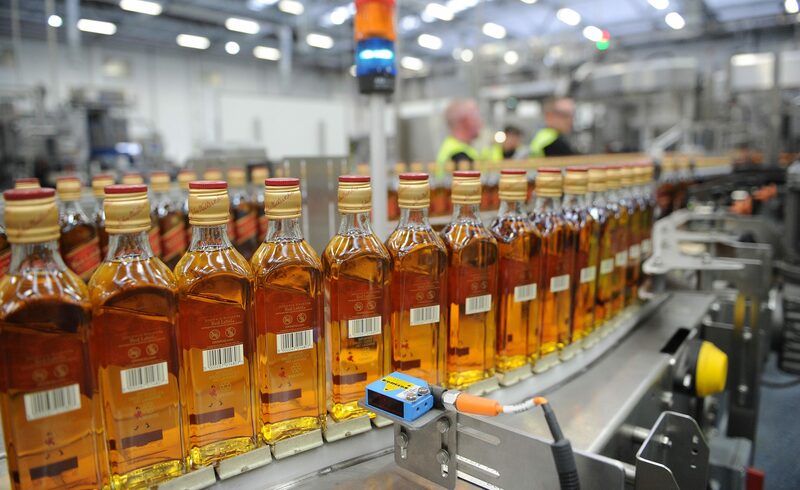 Diageo, whose brands include Johnnie Walker, Bells, Smirnoff and Guinness, had said it was disappointed at the prospect of strike action but that plans were in place to ensure business continued as usual “as far as possible”. A spokesman said: “Following a series of conciliation meetings concluding on November 30, a final proposal was jointly agreed between Diageo Plc and the GMB and Unite trade unions.